#iFlyLuckyDraw: Stand a chance to win MORE FLIGHTS when you purchase a Teaser package online! Simply book your slot 2 days in advance and you could be one of the 3 lucky participants to win a membership package worth $499 each. Book and fly from 12 October 2018 - 30 October 2018 and stand a chance to be one of the three lucky winners to win a membership package worth $499! Any packages purchased before or after contest date will not be entered for this lucky draw. Valid for all timings including weekends, Public Holidays and eve of Public Holidays. Valid only for online booking at least 2 days in advance. Onsite or phone booking will not be entered for the lucky draw. 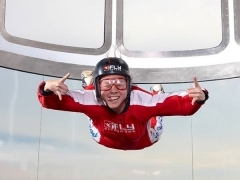 Valid only for iFly Teaser package which consists of 1 skydive per flyer. Promotion only valid for locals residing in Singapore i.e: Singaporeans, PR, EP, S Pass, WP holders. iFly Singapore reserves the right to substitute promotional items with products of equal value without prior notice. No cash alternative to the prizes will be offered. 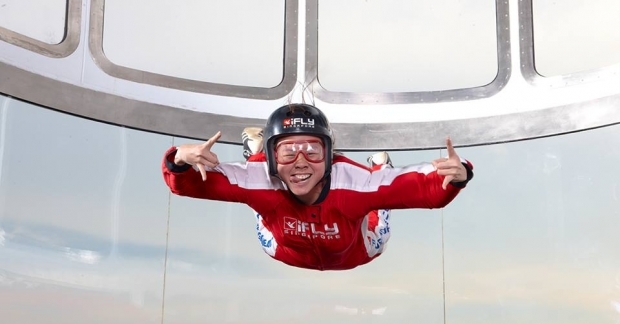 iFly Singapore shall not be liable for cancellation of any programme due to unforeseen circumstances. Any changes to the lucky draw will be notified to entrants as soon as possible by us. Entry into the lucky draw will be deemed as acceptance of all these terms and conditions. Check out iFly Singapore for more details about this offer and to know the latest happenings!